As early educators, whether as teachers in the classroom or as mama teachers at home, I would be willing to assume that you are much like I am, constantly considering how to intrigue our children with various learning activities, and enticing them to move forward in their learning! And as a mama who is passionate about child-led learning (or the “Reggio Emilia Approach” with which I often associate our learning style), I am beginning to understand the importance of providing materials and tools that can facilitate my children’s learning in a positive and natural way. Our five-year-old is an avid ‘reader’ of anything he can get his hands on; however, his reading mostly consists of reading the images of non-fictional literature, and recreating the events in his mind of fictional stories that we have previously read together. He is able to demonstrate an understanding of the sounds that the letters of the English language produce (we have truly enjoyed the multi-sensory approach of the Jolly Phonics program to support this development). And he is able to decode (read) simple words and join sounds together to spell words as well. I will often find our son writing stories, letters to friends, and labeling his drawings by phonetically sounding out the words that he wishes to print. His joy for writing is evident in the process and the product. He “gets it” and is keen to continue. I have learned that in order to better guide early readers and writers, it is important to provide fun and frequent opportunities to exercise their understanding of letters and the sounds that they produce. I like to offer open-ended activities that allow our kindergartener and preschooler to demonstrate an understanding of their learning in a successful way. 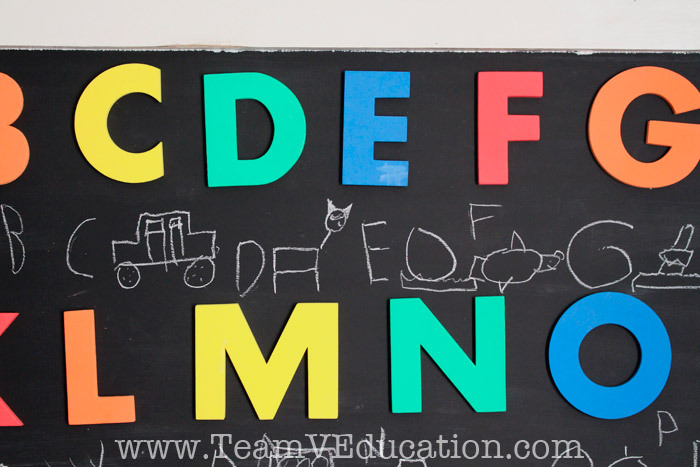 The following alphabet activity is an easy-to-prepare literacy provocation/invitation that can be interpreted by both the educator and the child in many different ways, thus providing a variety of learning opportunities! Give it a try – you will have fun with it! 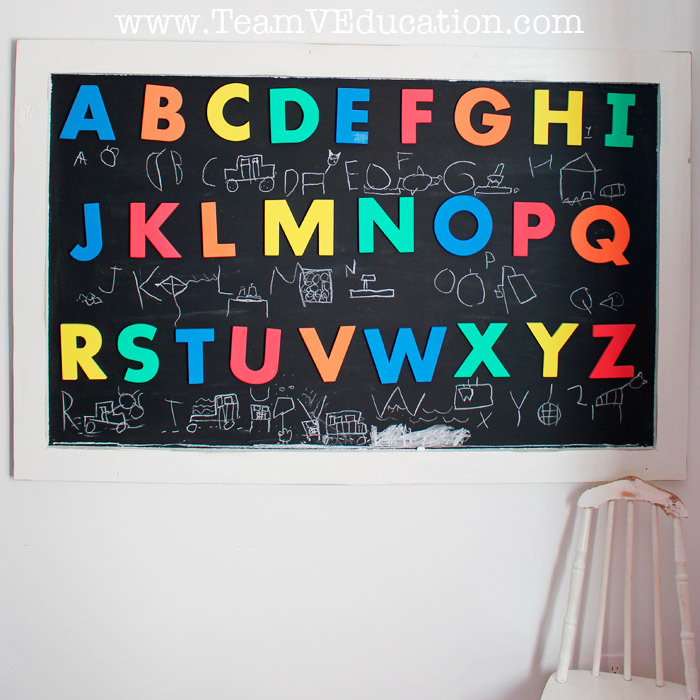 Provide your child with the alphabet either on a chalkboard like we have done, on paper, or another working surface of your choice. Draw your child’s attention to the letters. Prompt him or her by asking some thought-provoking questions and/or statements. Tell me about these letters here. What sounds do they make? Choose one letter that you like and tell me a word that uses that sound (can either be in the beginning, middle, or end). Would you like to try writing some words that match these letters? We can look around the house for ideas! 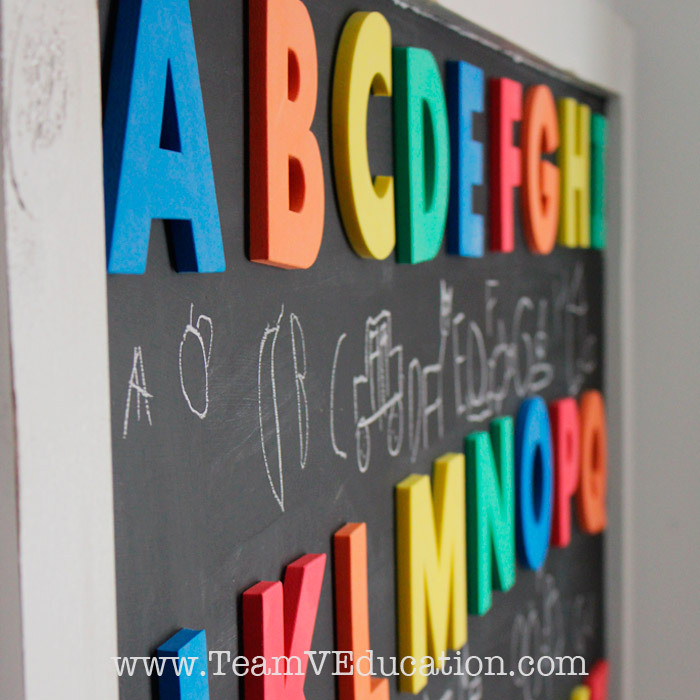 Encourage your child to explore the alphabet and respond by drawing images, associating words with each letter, or even sharing a story if applicable. When I asked our son if he would like to print “words” that matched each sound, he JUMPED at the idea; however, as he got started, I noticed that he was DRAWING pictures, rather than writing words. 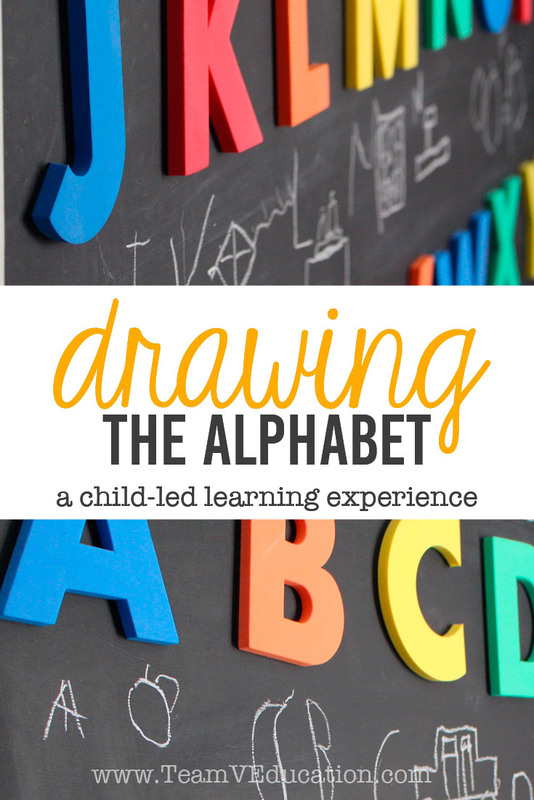 Drawing the Alphabet: The perfect literacy activity for the creative child! How might you tweak this Early Literacy Activity for your child or students? Our alphabet remained untouched for a few days before I prompted him to try something with it. 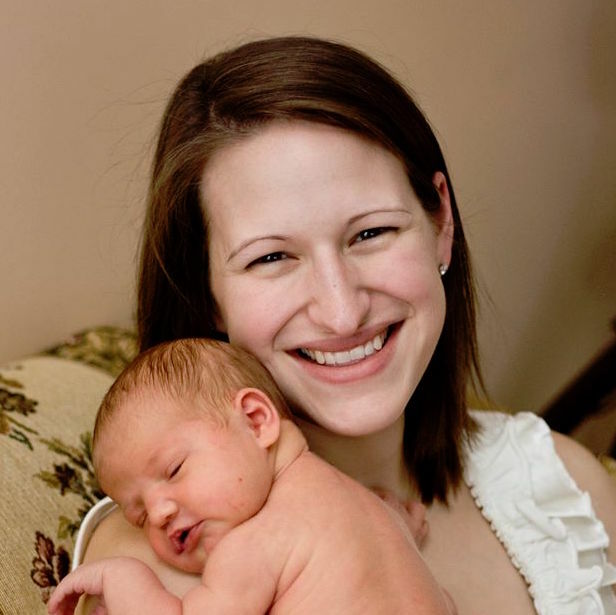 Would you be able to wait on your child to show an interest, or would you jump right in?